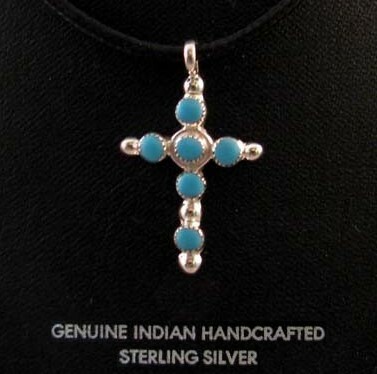 This petite & delicate cross pendant was made from sterling silver & finished with six turquoise stones by Zuni silversmith Gerald Siutza. 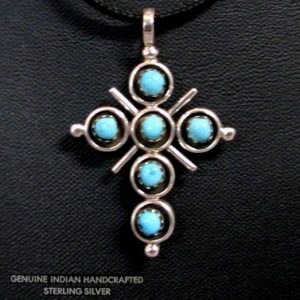 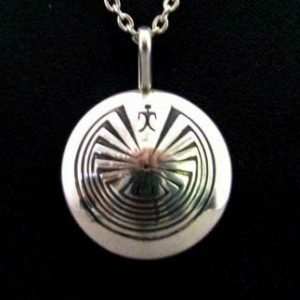 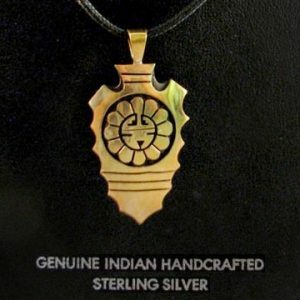 This beautiful pendant measures 1 inch long & comes on a black leather cord. 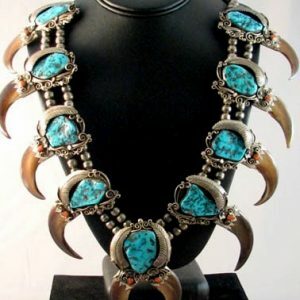 Perfect for a small child.